Enjoy this refreshing snack after an intense workout or maybe bring it to your weekend BBQ. Goes great with some Jerk Chicken and sautéed greens! Cut plantain lengthwise and grill or roast at 400 for 5 mins. 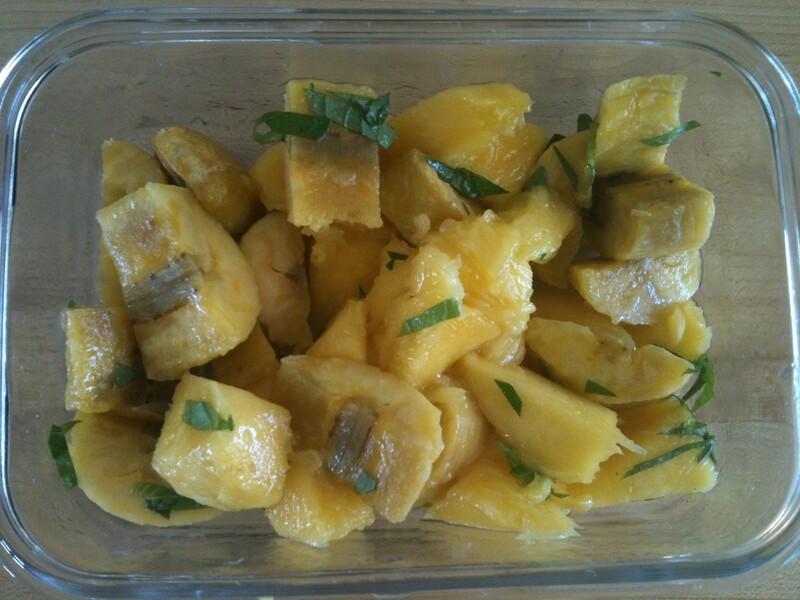 Cut up plantain into large chunks. Cut up mango into large chunks. In a bowl toss the fruit with some salt and mint.